Fantastic Grover Heights location and just 1 mile to the beach!! This darling 2 bedroom, 2 bath home with a two car finished garage is move-in ready! Offering privacy, low maintenance and carefree living. Rich wood cabinetry in the spacious kitchen with gas stove, refrigerator, dishwasher, microwave oven and separate dining area. A cozy gas fireplace in the bright & airy living room. Spacious master bedroom & bath with a Jetted bath tub. The Backyard provides space for pets, gardening etc! There's nothing to do but start enjoying your own private detached home. Excellent as a carefree 2nd home or add to your rental property portfolio. Ready for a quick and easy close. 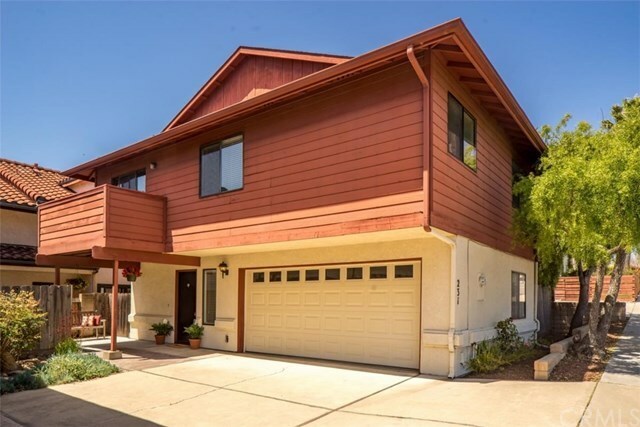 With nearby Grover Heights Elementary School, Grand Avenue shopping, restaurants, theaters, golfing, dunes and Pismo Beach, now is your time to own on the coast! Directions: Headed East on Grand Ave turn left on 13th.